When everything the cow consumes is 100% organic, the milk produced is ORGANIC. The milk produced organically is delicious and has more health benefits than your average off-the-shelf packet milk. It is packed with natural nutrients, minerals, enzymes, and micronutrients. CLA and Vitamin E, and acts as preventive medicine. By choosing our organic milk products, you are making the right choice. Organic milk is one of the most nutritionally complete foods packed with protein, vitamins and minerals. 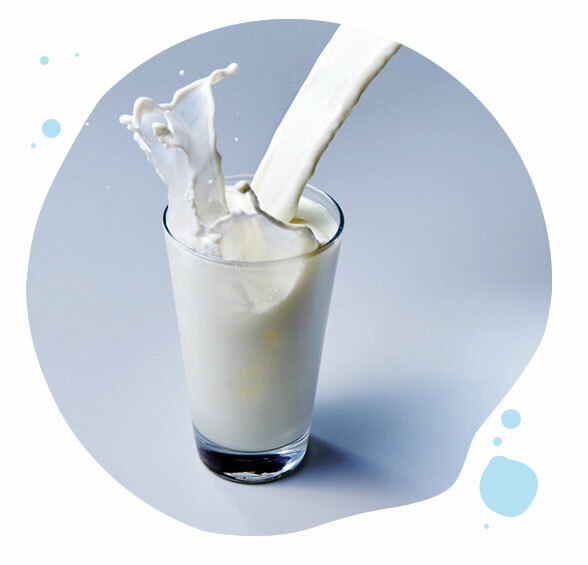 Studies have found that organic milk (both regular and skimmed) has more nutrients - omega-3 and vitamin E than non-organic milk. These help reduce the risk of heart disease and also to promote healthy skin. Cattle are fed feed grown with pesticides and synthetic fertilisers. When cattle get unwell they are usually given antibiotics and hormones which find its way into the milk. Nearly 99% of the milk that we get has it. This has a serious consequence - it makes us RESISTANT to certain antibiotics! All of us consume a good amount of milk and milk products every day, be it in our morning coffee or the curds and yogurts as part of our meals. But do we stop to question, how healthy and pure is the milk? The milk produced organically is delicious and has more health benefits than your average off-the-shelf packet milk.